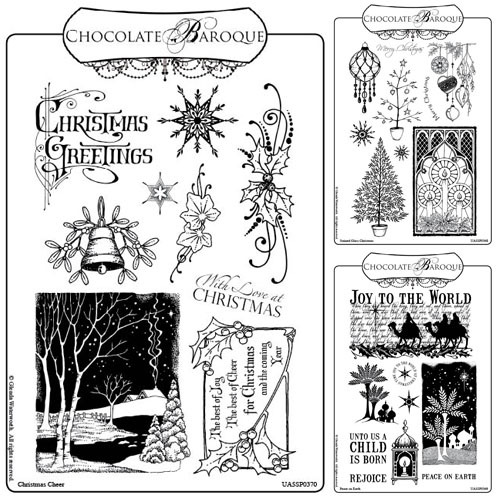 I am loving my Chocolate Baroque stamps. I have about six sets now. I love this Christmas set. I've used several of the stamps in this set already and I just got it last week. One of the ones I've used the most is the palm trees with the stone wall. I have stamped it in versa Mark and dusted with pearl paints. 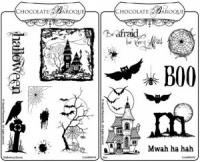 There is so much detail in these stamps and they are all wonderful to stamp with. This is such good value! There is a nostalgic theme to this set which Î love. I will be making my special family cards with it. Exactly what I have been looking for. Have used two so far, but only just started my cards and I need to make over 80. Well what can I say! 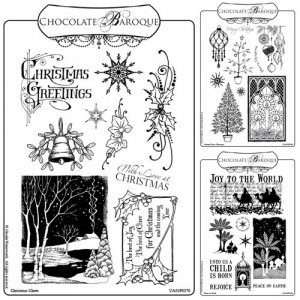 I wasn't going to buy anymore Christmas stamps but could not resist the offer on these and haven't stopped making cards since I received them. As ever superior design & service from Glenda, a very happy bunny! 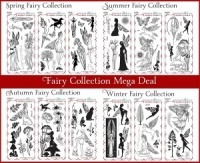 Fantastic, superb quality at a great price. A brilliant collection giving you a mix of modern and traditional images. A must have for everyone.